So many things to think about from these two chapters! I love that the library is a place where I can create space and time for dialogue and questions. I hope so much that I can provide kids with what they need. I do worry too - Am I forcing my beliefs on my students? Will there be backlash? Lots of questions. The survey about ranking what is most important to you really made me stop and think. Only 20% of those students surveyed ranked caring for others as their top choice?!? Modeling compassion is more important now than ever before if we want to change this. Don Graves' challenge - do we see kids as they want to be seen or how we think of them? This is a tough challenge in that I see almost 400 kids between my 2 schools, but I'm going to work on it - maybe instead of 10 things, I'll go for 5 or as many as I can and keep adding over the years. One of the best parts of library is having kids for 5 years - K through 4 - and watching them grow over that time. Decenter your normal - this is so hard for me to do after living in "my normal" for so many years. I am curious how kids do - it really takes some work to think about what someone else's normal is like. I can't wait to dig into this more. Enter with humility - So interesting to see this written down. I wrote in my notebook: "...our culture values knowing over messing learning is evident in the way we revere experts and correct answers" (xxix). In my library world, we make time for kids to explore, play, get messy as they read, use items in makerspaces and take charge of their own learning. I hope that by providing times for there not to be an answer, kids are learning that it's ok.
All of these ideas I've written about seem to be to be about listening to others, which of course flows into the ideas in Chapters 1 & 2. I'm excited to hear from others about how they are tweaking lessons like Identity webs, Stories of Our Names, and Where I'm From poems with K-2 students. Identity Webs - Reading aloud picture books are a great way for me in the library to include Identity Webs. I was thinking too, that I could partner with classroom teachers on this. Stories of our Names - This resonated with me so much! I had all kinds of trouble with my names growing up. First, my first and middle names are considered nicknames to many - Jenny Kate. So many teachers would start out the year calling me Jennifer. And my mom worked in my school! Then, my last name was Wajda. Vida. It was always mispronounced and mixed up. Names really do matter. I am From poems - I have written these with students in the past and they are amazing. It takes time sometimes, to think about something beyond just the obvious, something that really gives the reader/listener a sense of who you are. Like the Identity Webs, perhaps the I am From poems can continue to change as the year progresses. Listening is so big! So important! Really listening, not just thinking about what you are going to say next when that person is finished speaking. I am so excited to use the strategies in this chapter, including the sentence starters. Because some of this is new to me, I may not catch some of the great things kids say, so having models for myself is important. But I bet my students will have their own amazing versions to share. I want to add that I appreciate so much the two sections that are included at the end of each lesson and chapter: Addressing Tensions and Synthesis: Making Thinking Visible. Both of these give tips and suggestions of problem areas and also ways to keep reflecting and growing as we do this work together. Each summer for the past few years, I have joined an amazing group of learners as we read, wonder, and share about a book together. 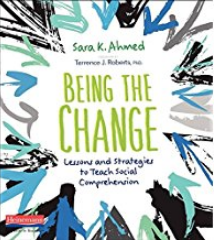 This year, Sara Ahmed's Being the Change: Lessons and Strategies to Teach Social Comprehension was selected. I am really excited about this title and it's timeliness. I have been thinking about social comprehension a lot this past year and have attended a terrific workshop entitled Opening the Book on Equity - Representation in Your Library given by Michelle Gohagon of Middletown Public Schools. 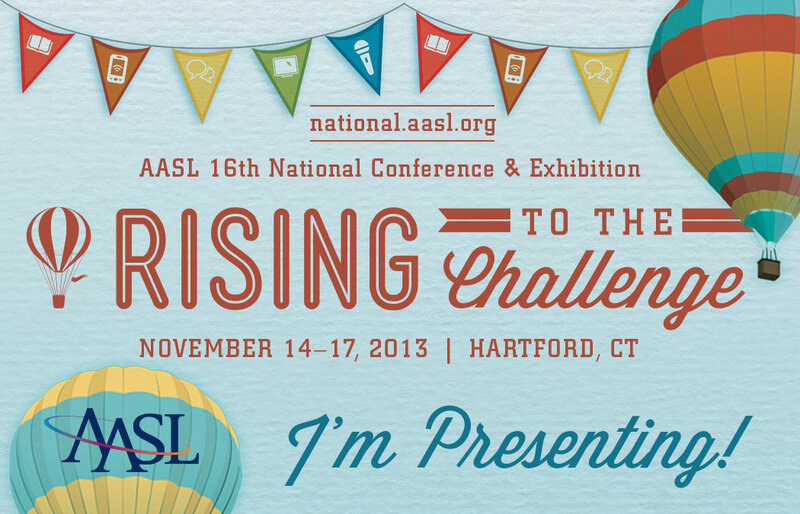 I believe that libraries have a huge impact and am eager to learn more! 2018 Mock Sibert results . . .
"I just can't pick!" "Can we pick 2?" 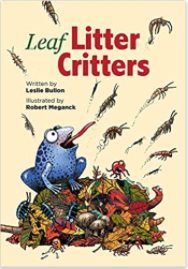 Every week we added a new book or 2 and every week my 1st and 2nd grade students fell in love with another book on our Mock Sibert nominee list. Snow days and delays limited our nominees to only 9 choices, but we loved them. The titles came came the list author Melissa Stewart posted on her blog. 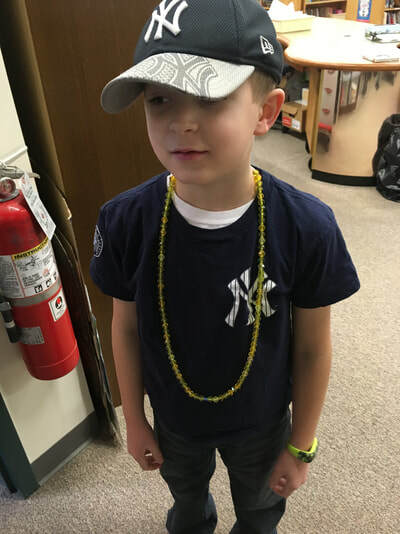 Focusing on the Sibert Award (pronounced Sigh - bert) was a perfect fit with the nonfiction unit my students were experiencing in their classrooms. So not only were we able to read and enjoy these terrific books, but students were thinking critically about the authors' choices of nonfiction features too. One of the criteria that was new to my students was about backmatter. Backmatter are things like author's notes, resources, recipes and more. I found the actual lesson from Thinkersmith's Traveling Circuits and tweaked it a little due to 45 minute time blocks. It was a lot of fun having kids think about exactly how computers communicate. We have done quite a lot of coding together, but I think this was the first time they really thought about what happens to make the code work. I don't have a computer to take apart right now, but they provide pictures. After taking a quick peek at the inside, we moved on to the challenges of binary. It is a little bit of a stretch to think about how computers actually understand the keystrokes/mouse clicks, but overall we got the idea. The kids loved trying to figure out the letters in ASCII. I put a code on the chart paper and gave each student a decoder card. Some of the kids noticed that A-O started with the same pattern while P-Z do too. 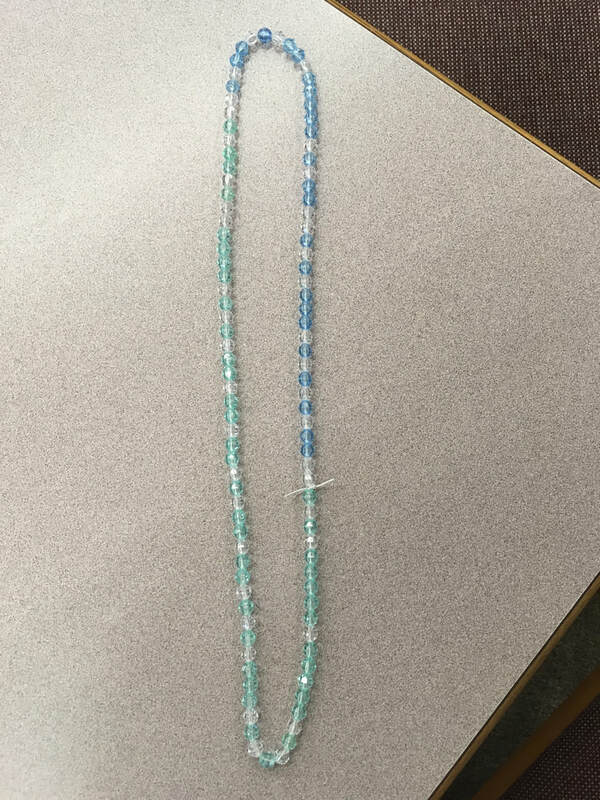 After we did a few together and most students felt pretty comfortable, I showed them how they would create a bracelet using beads that represented their 2 initials. They used a strip of paper (provided in the lesson) to record the code for their initials and chose 2 colors for on / off. The perler beads worked great, but I did need to use thread, not a thicker string. 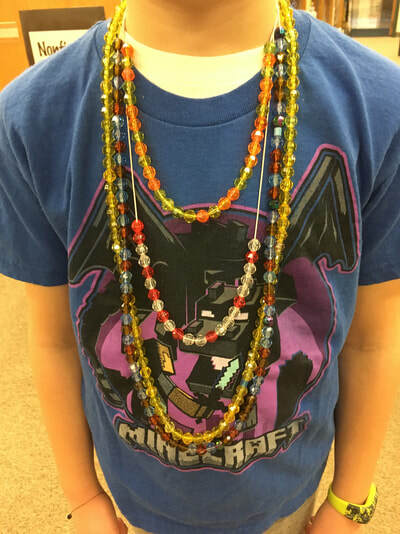 We also had to try different ways to tie the beads on (we did have a few whole codes just fall off), but the kids were patient with me. Pictures will be coming soon! 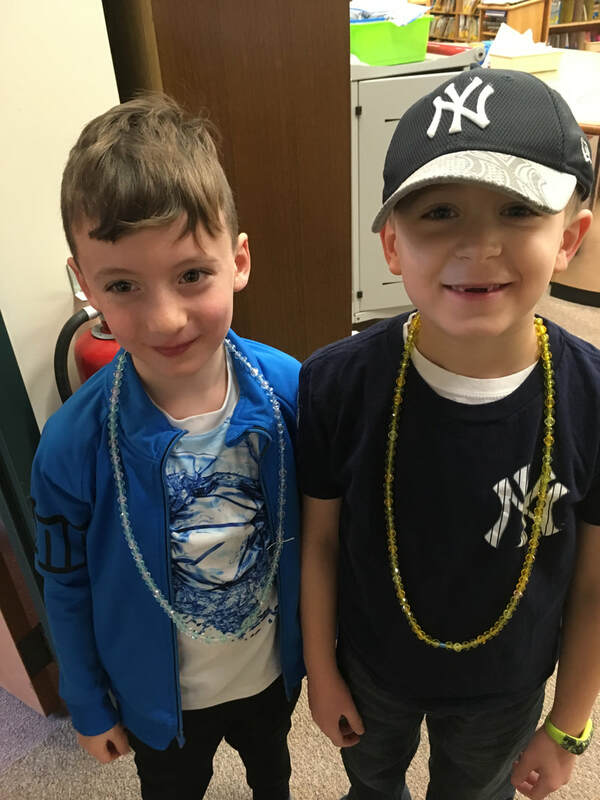 If they finished, they could wear their bracelets home. If they needed more time, I put their materials into a baggie and either sent it home to complete or they will finish it during their next library class. The best part was on Thursday morning, some students came down to the library to show me what they created at their afterschool program! They had shared with their teacher what we had done and she looked up binary codes, found beads, and helped them create even more! They came back Friday morning too! It was so exciting to see the kids take what we had done and extend it and teach others. 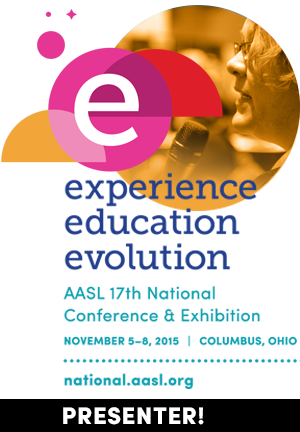 Extracurricular HOT Opportunities (ECHOs) met for the first time yesterday at John Lyman School. Once a month, students from all grades meet in an ECHO that they selected. Teachers from throughout the school offer topics such as world games, yoga, coding, birding and more. Mrs. Dobler and I were inspired by the book Journal Sparks by Emily Neuberger. It was a wonderful way to end our Friday! We began by sharing everyone's ideas about what they thought creative journaling might be, which ranged from art to feelings. In the end, we decided it could be whatever we wanted! I shared the journal that I had created this summer when my daughter and I first found this book. We had a ton of fun decorating the cover with washi tape and modge podging over it. The Creative Journaling group will be making their own journals too, at our next meeting. But for today we gave out pages that will go into their new journals and let them create! Below are some images of what they accomplished. It was absolutely the best to get back into the library with my students this fall. Some I haven't even met yet, but I will tomorrow and I can't wait! We have had a lot of fun thinking about superheroes of all kinds and with the kindergarteners, exploring friendship. More on the kindergarteners in another post. After saying hello to students I have known before and meeting some new ones, I picked up Super Manny Stands Up! by Kelly DiPucchio and got us started reading. I have always started out by reading - after all, isn't that a huge part of why we have library class? Rules and such can come later, but I want my students to know that READING is where it's at! ​Everyone pictured a favorite super hero - made up or real. We imagined what they looked like, sounded like, special clothes they had, even what they smelled like. And then we met Super Manny. He sure has some special items of clothing and even something that can't come off! As we read, I stopped at a few chosen spots to have students make predictions, turn and talk, and share observations. One that really stood out to me was that, "Manny's super power is his imagination!" Love it! We ended with a discussion about how each of them have an invisible cape that will help them stand up too. I hope that is a lesson they remember all year long. After a brain/movement break in which we circled up and shared our name and a movement, we moved on to getting library books! On the first day? You bet! Together we remembered important items as we began to check out books, such as how to take care of those books when they got them home. Book check out is one of my favorite times - I love watching kids find something great and get down to reading. ​After a quick check in about how they did taking care of their books all week (and showing them some of my saddest cases - chewed by dogs, left out in the rain, and a juice spill), we jumped right back into super heroes. 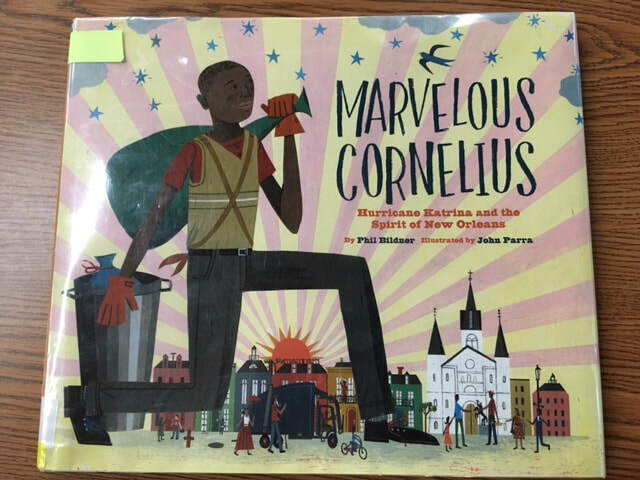 This time our book starred Marvelous Cornelius, a New Orleans hero during Hurricane Katrina. With so many hurricanes around the U.S. right now, it was a natural way to talk about them and ask questions that we will investigate this week. There is so much that Marvelous Cornelius, by Phil Bildner, has to offer. It is a tremendous story, filled with the rhythm and language of New Orleans. We noted ways that Manny and Cornelius were similar and different. As always, students notice so many things! Our next step is to record and post some stories for the kids affected by Hurricane Harvey and learn more about hurricanes. It's a busy start to the year, but important as we build our reading communities. Read because we love great stories and read to learn. Most of all, just read. Posting this late, but these last two chapters had me marking all kinds of things! Let me just begin by saying that Vinton shares such fascinating reflections about what readers are really doing. I really appreciate being able to see into her mind. I'm intrigued by a new idea - Framing vs. Scaffolding. "Thinking Frames" are from Project Zero's David Perkins Vinton writes. They help "guide the process of thought, supporting, organizing, and catalyzing". I have never learned about them before like I had with scaffolding. It is interesting that I am seeing over and over again this summer about how we have over-scaffolded students, so that the scaffold is the thing being taught, not the way of reading or thinking (p. 182). Framing "breaks down complex thinking into manageable pieces without ever losing sight of the whole" and "invites students to engage in the actual thinking work that's behind what we often teach as skills" (p. 182). I really am interested in this idea - getting at the thinking, rather than the end product. Isn't that what we purport to want from our students? But if we never give them the opportunity to actually think, what then? I also am reading a great deal about "extraction" versus "transaction". I think many times we are asking students to extract - which again indicates a correct answer or end product. There are many types of questions that when framed just a bit differently, can bring the reader in and make them more inquisitive. What's the main idea? (extraction) versus What do you think the writer wants you to understand? (transaction) - What a difference! On page 186 Vinton talks about "reacting to the facts, rather than responding". Reacting invites students to bring their feelings. I was excited about this because for a few years now, I've been using a chart called Fact/React with my library students which helps them annotate and think about the nonfiction they are reading. I found it on Twitter (I wish I could find the tweet!) but it has been really interesting to watch kids. Rather than just writing down facts, it asks them to show their thinking. To me, it helps take away that regurgitation of information. 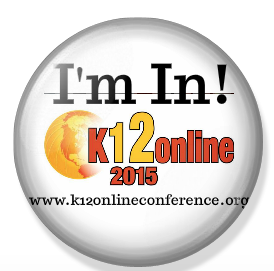 ​Chapter 10 discusses Independent Reading and conferences. I loved the slight shift Vinton suggests for beginning a conference - instead of asking about the book, make it about the reader. For example, Are you wondering about anything? or Have you noticed any patterns or things that are repeated? It's not about what they are reading, but how they are making meaning, which is really what we are teaching isn't it? I also loved the quote on p. 208 about engagement from Charlotte Danielson - Here's the beginning: "Student engagement is not the same as . . . "time on task." This work is hard. Really hard. And I have a lot to learn, but I am excited and energized to use these ideas with my students. I will have to make tweaks to use them in the library, but I love that challenge! Thanks to all the #cyberPD folks for another amazing book group this summer!